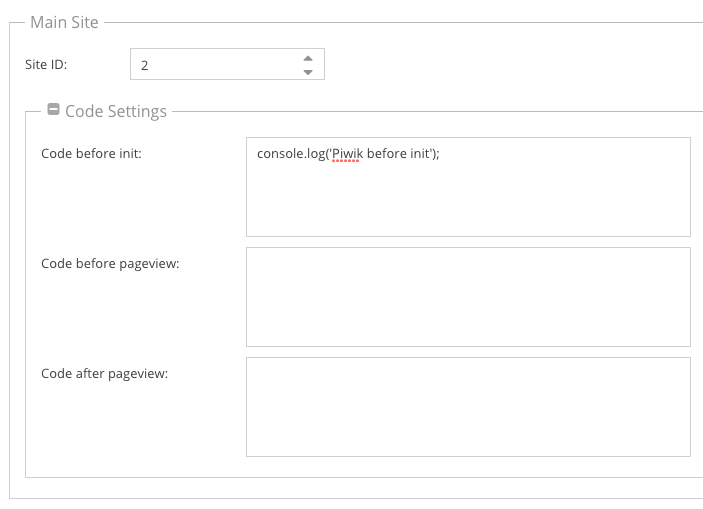 Similar to Google Analytics, you can configure the Site ID and optional code snippets which should be added to the tracking code on a per-site level. 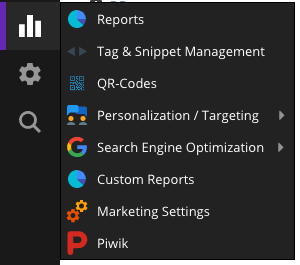 All settings can be configured in the Matomo tab of the Marketing Settings panel. 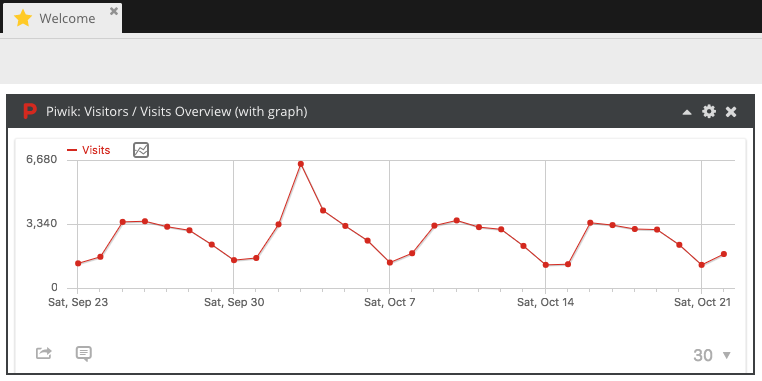 Matomo reports can be integrated into the Admin UI at several places like the dashboard, the reports panel or as full iframe integration of the whole Matomo app. To make those features available, you need to configure a Report Token in the Authentication Tokens Section of the settings tab. This report token will be used for authentication when integrating report iframes. The API token for a user can be found in Matomo's API settings panel (please see the Matomo FAQ for details). Important: It is recommended to create a dedicated reporting user with view only permissions and to use this token as report token. As the token acts like a password and can be extracted from the iframe URL, users could potentially use this token to change Matomo settings. Additionally you can integrate the whole Matomo app as iframe by using Matomo's logme() functionality. To use this integration, you need to configure the Matomo username to access to iframe and the MD5 hash of its password (not the plain text password itself!). 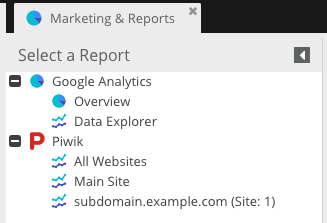 Similar to the report token, you should use a user with view only permissions here. Further more, you might need to enable the setting enable_framed_pages in the Matomo config (see Matomo FAQ) to allow the iframe to be displayed. Certain site settings (currently only the list of valid domains) can be automatically exported from Pimcore to the Matomo site configuration. To activate this feature, you need to configure an API token which will be used for API requests. As you'll use this token to update Matomo's settings, this token (its user) needs to be configured with write access.